Cadbury House has a fascinating history that brings much life and character to the venue. Cadbury House has a fascinating history that brings much life and character to the venue. The original house, which forms the central part of the venue, dates back to 1790 where it served as a private residence set within 800 acres of woodland. Quite where those 800 acres were is unclear, although many estates in those days were spread over different sites. The house itself sits in 8.5 acres of the land and the first written records of it in an 1841 census shows that it was occupied by Bailey Andrews, his first wife Martha and children Susan, aged 5 and Leigh, aged 3. He was described as a man of ‘independent means’ and other records show that he lived in London until 1837 and also had connections in Sherborne, Dorset; but little else is known about him. In the 1870s the Rev Joseph William Hardman resided at Cadbury House. He organised the building of St Katherine’s Church at Felton where he served as a priest in charge and he was just about 40 when he ‘retired to Cadbury House, Congresbury’. On his death in 1891 the house was passed to his son Harold Fitzwilliam Hardman, but census returns seem to indicate that he lived elsewhere and the house was rented to others. These included a Mrs Watts, James Richard Naylor JP and by 1910 the Earl of Cardigan, who in 1911 succeeded his father to become the 6th Marquis of Aylesbury. Along with his family he was the occupier of the house at the outbreak of the First World War. In the 1920s a priceless collection of Irish Tudor Fireplace panelling was removed and sold to America and is now on display in a museum in Boston. From 1939 to 1955 Cadbury House became the seat of learning as a boy’s prep school known as St David’s. The main entrance was used as an air raid shelter during the Second World War and some pupils report seeing the ghost of a little girl walking down the main staircase. By the 1950s girls had been admitted to the school, which catered for children ages between 4 and 16 and cost £52 a term. A pupil at the time said the headmaster had a caning room with different sized canes to hand out different punishments to errant pupils. The house was converted to a ‘Country Club’ and became a popular destination for its leisure facilities, dinner dances, weddings, corporate functions and events. It is rumoured that cricketer Ian Botham is among those to have been thrown in the pool during high jinks at a party. Purchased by Wrington-based businessman Nick Taplin, who along with his business partner invested £26 million to renovate and upgrade Cadbury House to the 4 star boutique styled, 132 bedroom, hotel it is today specialising in Weddings, conferences and events, now boasts an award winning health club and spa and the Marco Pierre White Restaurant. The original house, which forms the central part of the venue, dates back to 1790 where it served as a private residence set within 800 acres of woodland. 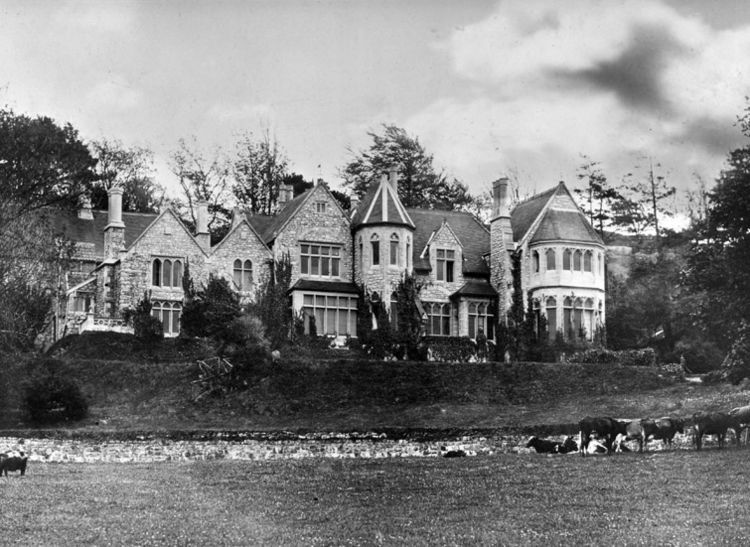 Between 1839 and 1955 Cadbury House became a school known as St David’s. Later the house evolved into a luxury country club, providing a stunning back drop for hunting balls, medieval banquets and charity events. In recent years Cadbury house has transformed into the awe-inspiring venue it is today. Purchased by Nick Taplin and Simon Matthews-Williams in 2003, the venue has benefitted from a £28 million makeover. With 132 bedrooms, this four-star boutique venue boasts an enviable portfolio of onsite properties including a Marco Pierre White Steakhouse, Bardolino Italian restaurant, Marconi Coffee and Juice Bar and the award-winning ClubandSpa. 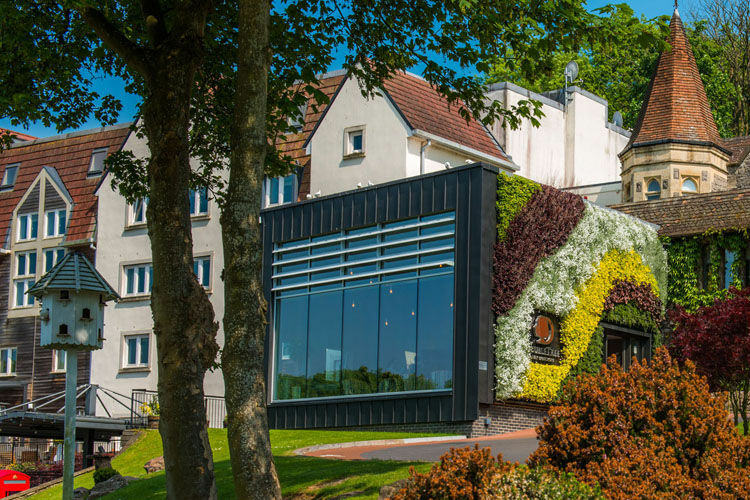 With 132 bedrooms, this four-star boutique venue boasts an enviable portfolio of onsite properties including a Marco Pierre White Steakhouse and the award-winning ClubandSpa.